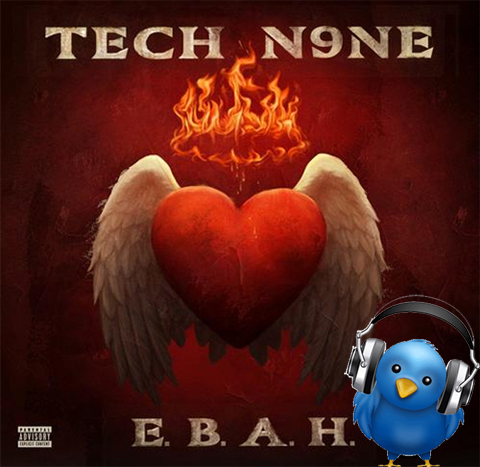 We may not have been able to kick with fans in person, but thanks to Twitter, we joined Strangeland in celebrating the release of Tech N9ne’s E.B.A.H. with a live listening session. With everyone loading up their playlists, we invited fans to join us on Twitter recently for a live listening session of E.B.A.H. that also included feedback and discussion about the EP. Track by track, we played the new release and experienced E.B.A.H. with the fans – even Blind Fury joined in! In case you missed it, check how it all went down below! CLICK HERE TO PURCHASE E.B.A.H. ON iTUNES! Did you join in on the live listening session? Would you like to see this happen with more releases?